This species shows an abvious white shoulder in front of the closed wing. The legs are dull green. 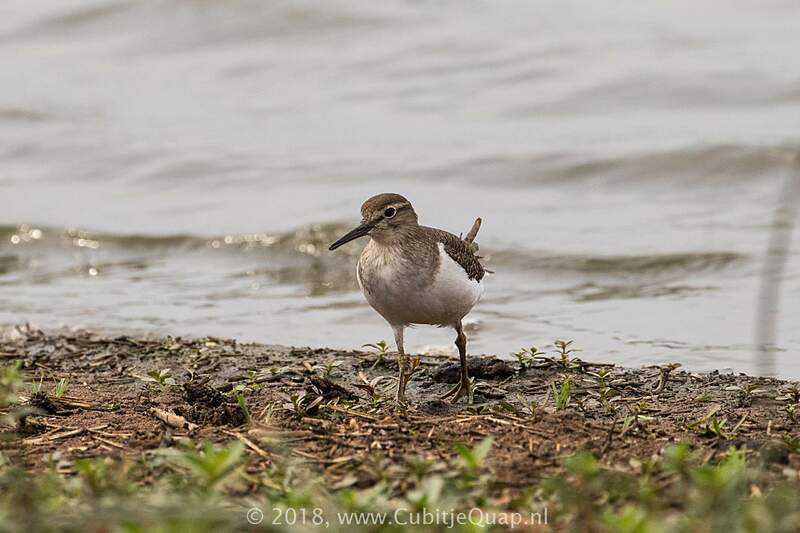 Wood sandpiper is larger and longer-legged, and has pale spotting on the upperparts and a white rump. 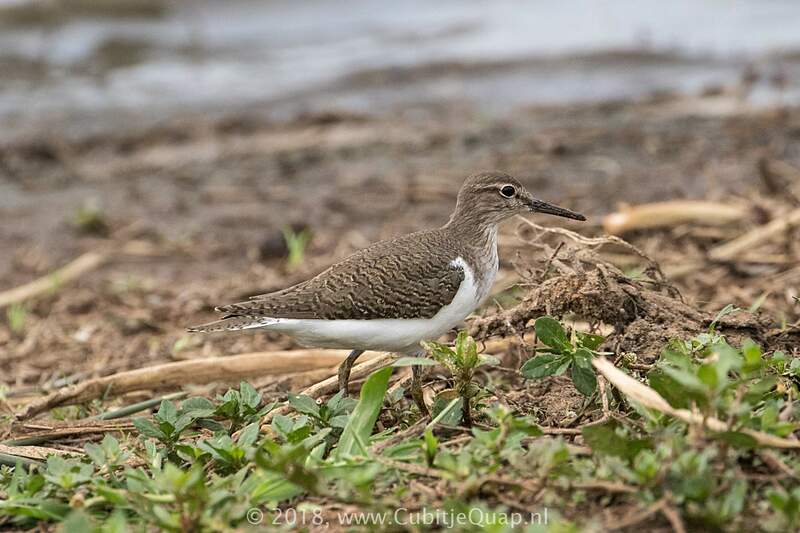 Green sandpiper is larger and has a white rump and black underwings. The flight comprises bursts of shallow wing beats on slightly bowed wings, interspersed with short glides. 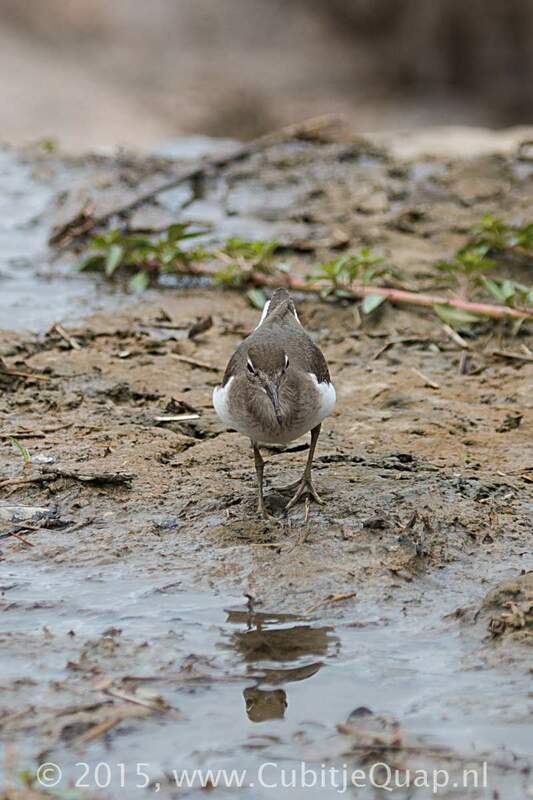 It has a prominent pale wing bar, brown rump and barred sides to the dark tail. 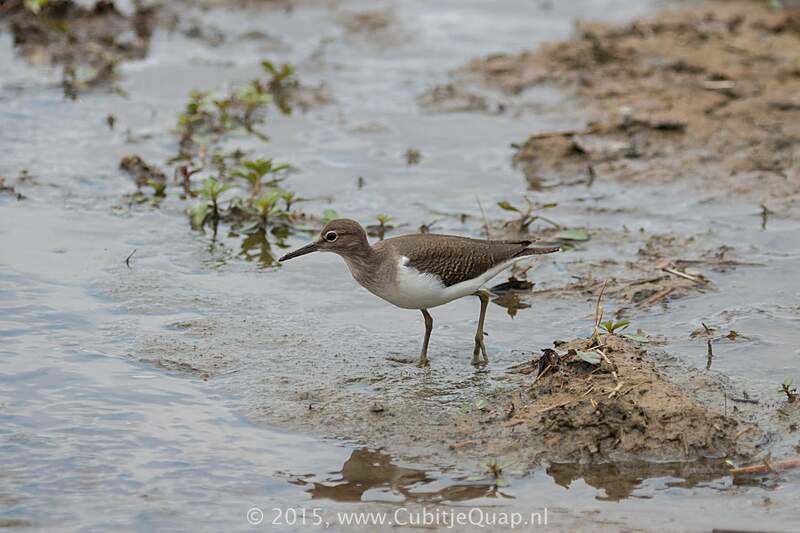 Continually bobs rear end, much more so than Tringa waders. Wide range of wetland types, including rivers.